WC 150K Post Challenge - You Ready?! Android Central, iMore, Crackberry have all been doing this challenge on there forums, so lets start this challenge over here! So what do you have do I hear you ask, just reply in this thread about anything, that's correct anything at all! This can be your lunch, the weather, holiday, share images of your vacation and these are just a few examples. Lets show the other site on MN what we can do, it may be a steep hill to climb however we can do it together, spare some of your time and post to your hearts content and the best thing about this thread it can be about anything (in reason of course :P) and have FUN! If you need a few more examples to get the wheels turning you can post about how your days was, a device, something funny you read or heard, cake, food, some more cake you get by now, of what you can do! Now then the thread title will change every time we break the post count so I want to see this thread EXPLODE WITH POST, I WANT TO SEE YOUR KEYBOARD SET ALIGHT! This is also a contest as well don't forget, against the other forum in MN, so let show them what we can do on WPC!!! Last edited by Muessig; 02-09-2015 at 12:15 AM. Sam Sabri, Laura Knotek, bamf-hacker and 28 others like this. Smarter Every Day - SmarterEveryDay - YouTube - genuinely interesting videos. The Slow Mo Guys - The Slow Mo Guys - YouTube - life in slow motion... what could be better? HaibaneReki, Martsicky, unstoppablekem and 3 others like this. Yesterday, I laundered my cheque book by mistake. snowmutt, xandros9, MSFTisMIA and 7 others like this. Why do we care what the other forums do? You did say it could be about anything. BIGPADDY, jabtano, sd173 and 1 others like this. BIGPADDY and Carjackd like this. Correct about anything, no reason just a friendly competition. It been raining today, that was good for the plants which I don't have. thethinker1997, MSFTisMIA and Icezickle like this. I had a cheese toaster for lunch/dinner that was nice. Garrymp and theotrucker like this. BIGPADDY and Brickset like this. We've had rain, dry spells and thunderstorms. Been really humid and somewhere between 25 and 30 deg C.
It been to hot and I been cleaning PC all day at work, lots and lots of dust! Any hot sauce aficionado's here? I tried a really good (And hot!) Ghost Pepper sauce last night with my pasta. BIGPADDY, GoldenOrater23 and conquerror000 like this. Your crazy for taking on the ghost pepper! I'm performing at the Edinburgh Featival!!! Muessig, BIGPADDY and Ed Boland like this. You've been brainwashed Kris, there is nothing we can do to help you! I grow my own ghost peppers. I've been trying to get ahold of some Trinidad Scorpion peppers. It's supposed to be the hottest pepper these days. N_LaRUE and BIGPADDY like this. I have a DataVac that is specially designed for cleaning PCs. BIGPADDY, gedzum and Scienceguy Labs like this. 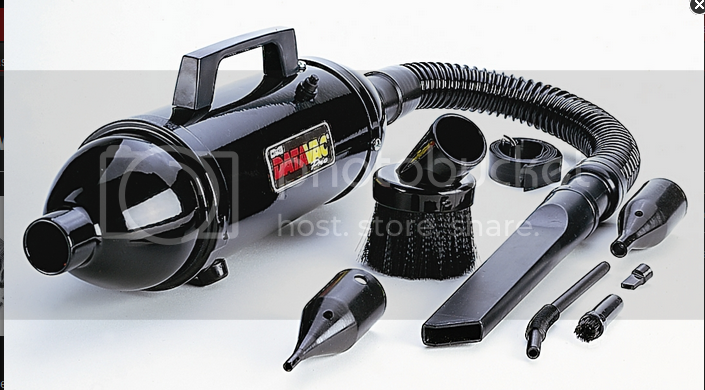 What I most want for my pc is canned air, to clean it out! BIGPADDY and Ed Boland like this. Thank goodness it wasn't cash. You know, because that would be money laundering. Laura Knotek, raccoon210, snowmutt and 8 others like this. Funny you say that, as I'm looking at a 920 right now, free on a 3yr at Rogers, and I can technically use my upgrade now. You already know the horror stories of carriers down here! WC app: Can't log on?